Music lovers love to visit concerts of their favorite bands and artists. 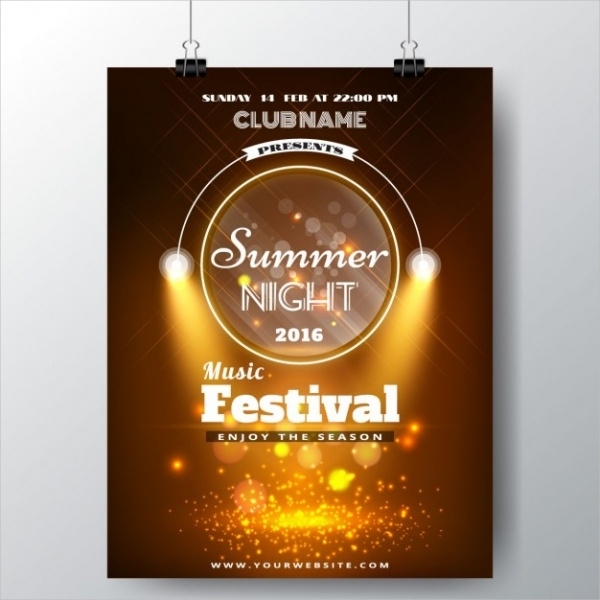 Thus, music posters play a important role which attracts the people. Whenever there is a program around the corner. There are different ways of designing these posters. The nature of the program, the aptitude of the audience and other factors determine the looks of the posters. 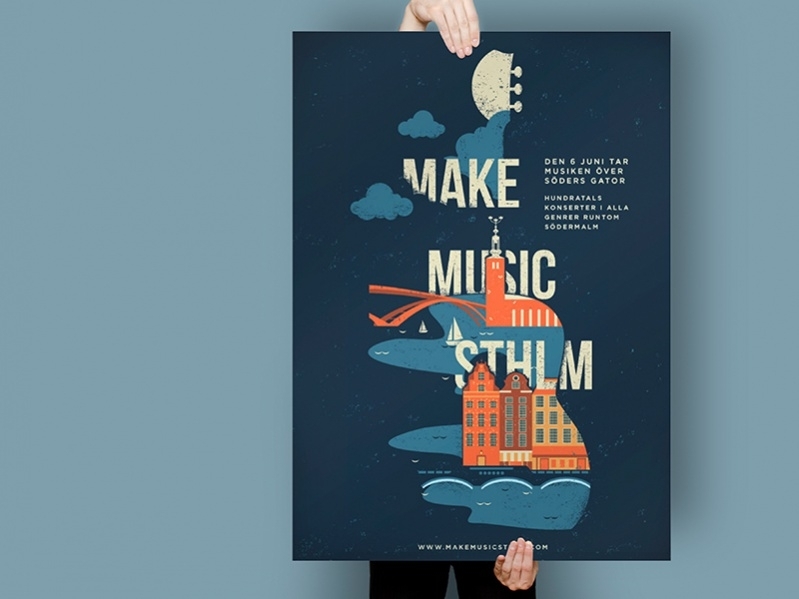 Here are fifteen Free Poster Designs that you can download for customized uses. In this template, appropriate amounts of texts and graphics have been incorporated. The dark and bright blend of the background color is ideal for this poster. The white font color suits the contest well. You may also see Vector Music Posters. If you need a poster for a solo artist, you can edit this template and download it. 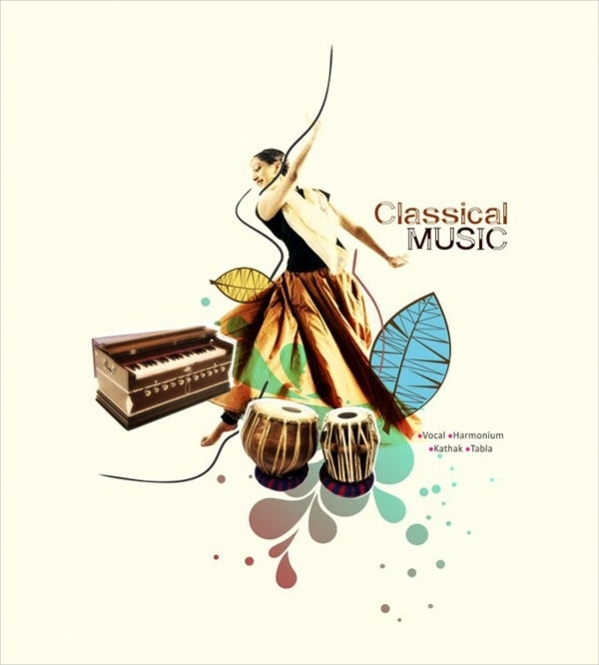 The genre of music has been specified in the poster and the visual elements are also incorporated in it. You may also see Cool Posters. The blue background color of this poster looks elegant. In the center, the right blend of graphics and texts make the design presentable. You can download this one if needed. You may also see Vintage Posters. In the case of music schools, specific dress codes may be used in the programs. In this poster, a snapshot from prior programs has been incorporated. 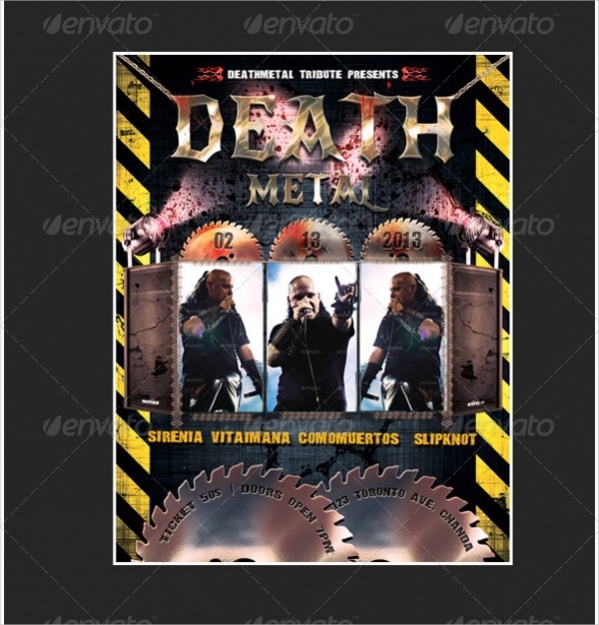 The visually seen instrument materials have made the poster attractive. In this poster, a circular theme is presented in the center, while other information about the event is presented in red and yellow fonts. The light background color makes the poster sophisticated. 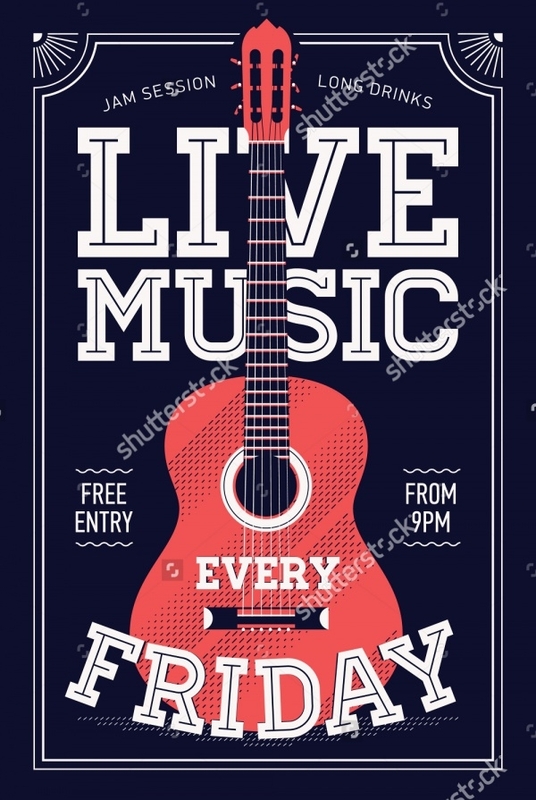 This is a typical poster of a music night, where an image from a live concert has been presented along with texts. The red background makes it look vibrant and the message is clearly presented. White and red make a good combination. In this poster, these two colors have been appropriately used to create a visual effect, while the bright red font conveys the message. 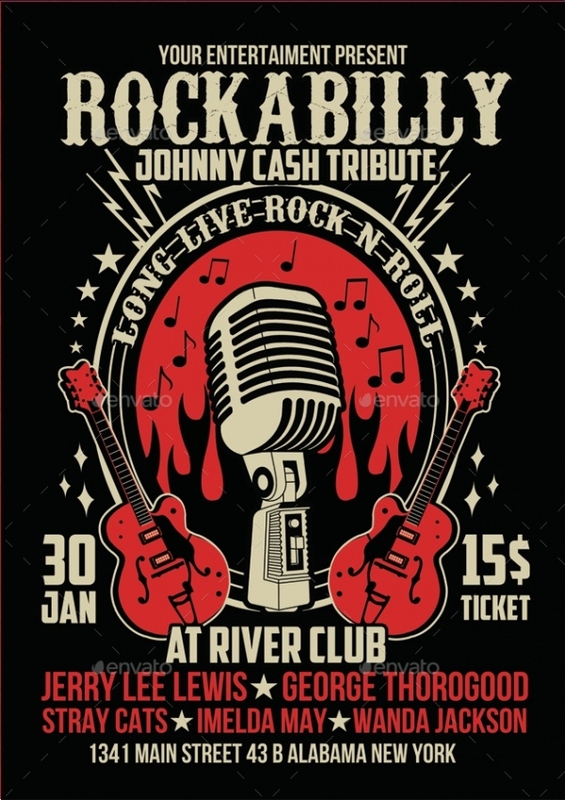 Rock music posters are best presented in red and black. 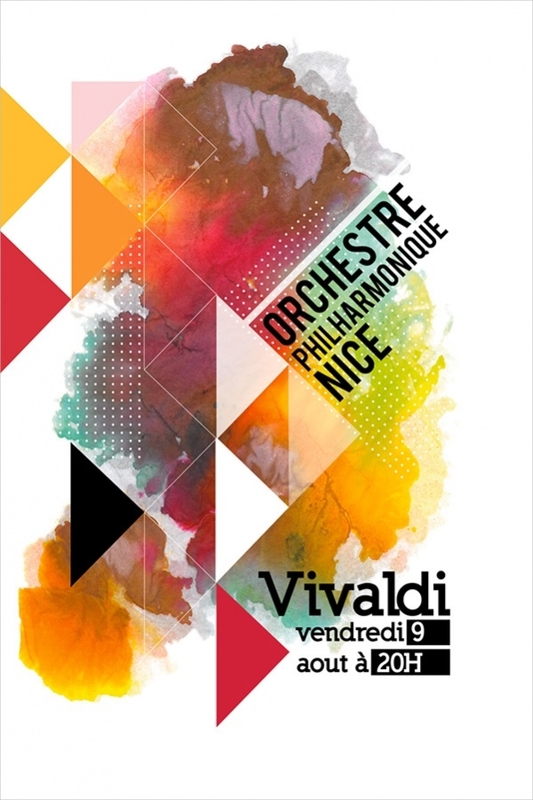 In this poster, a combination of these two colors has been used in the text and graphics. The names of the artists are also specified. 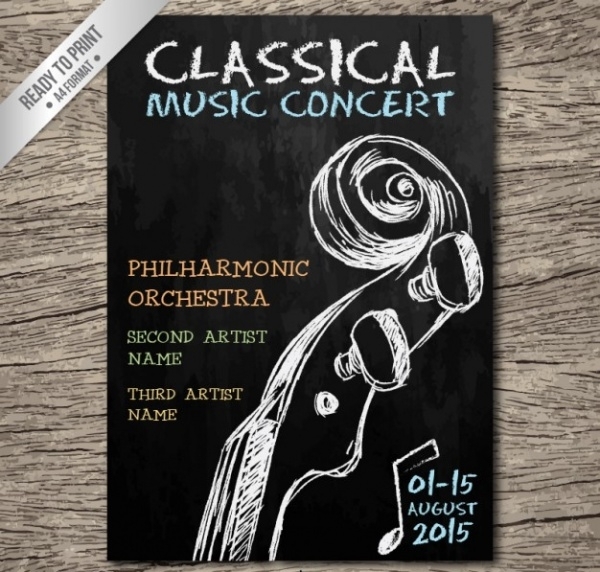 For a classical music program, you need to design a poster in a simple and sophisticated manner. 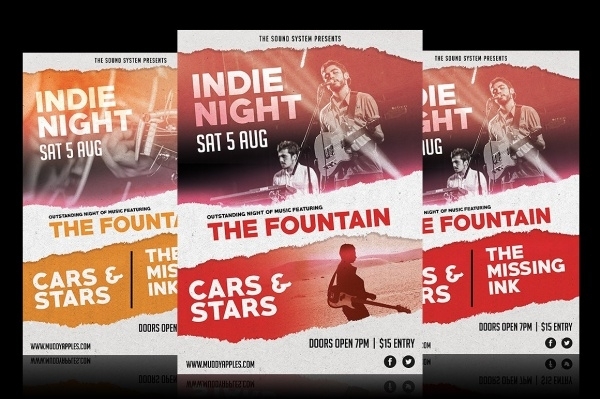 The black background color suits the light colored font used in these posters. For TV or radio programs based on music, the poster informs about the schedule of the program. Here, a dark shaded theme is chosen to make the template presentable and the required information is shared. 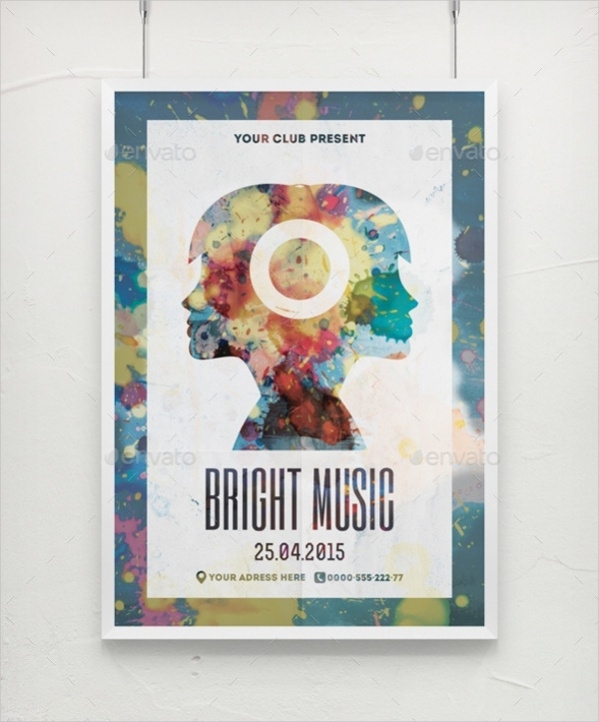 Animated graphics go well with music posters. 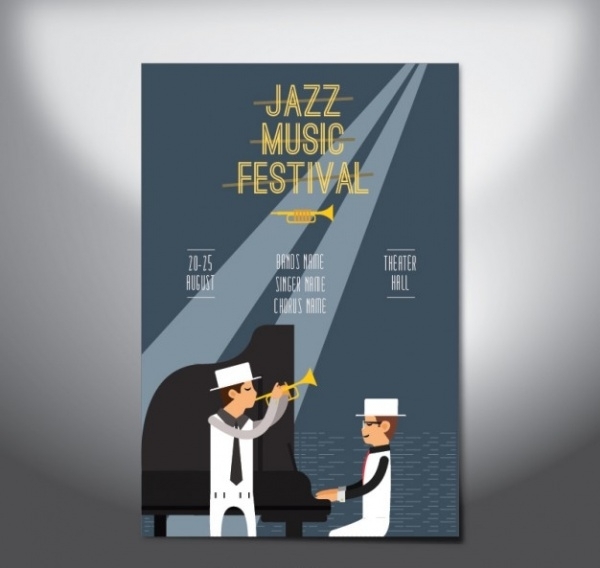 Here, the template depicts two artists in a jazz concert. The elegant visual effects make the poster attractive. 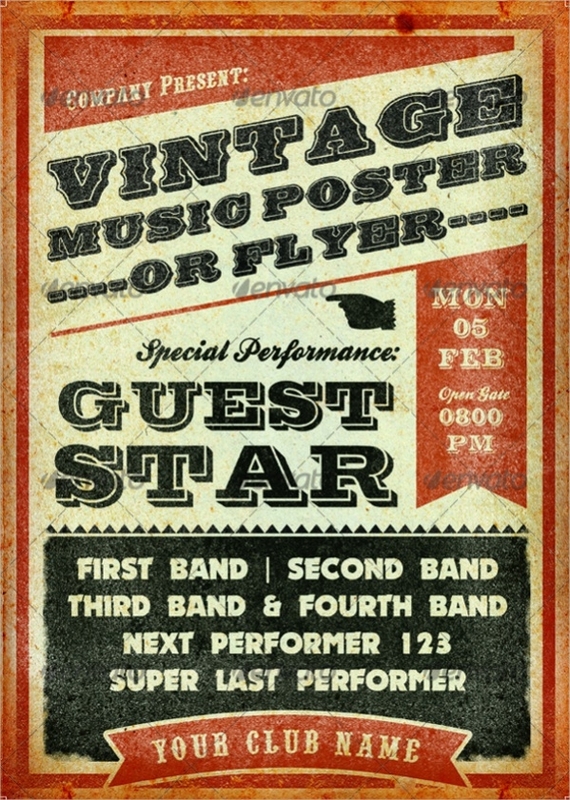 For a change, you can try out a vintage music poster design. 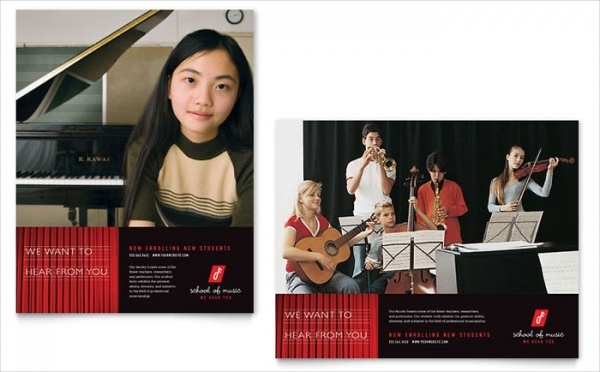 These posters can be customized for different types of music. 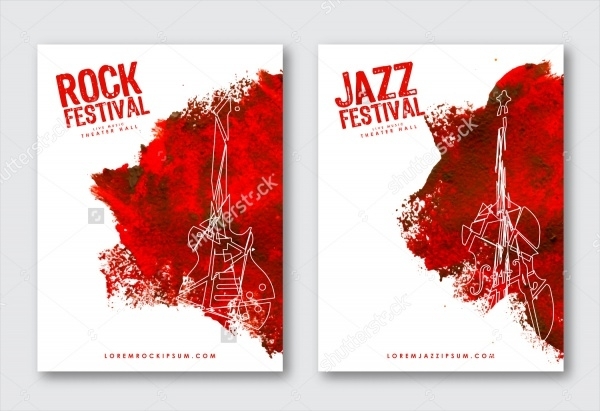 You can choose hip-hop music posters, jazz music posters, rock music posters and so on. The prime visual element in this poster is a guitar. The red-based foreground color suits the dark background well. The white lines along the border refine the looks of the poster. 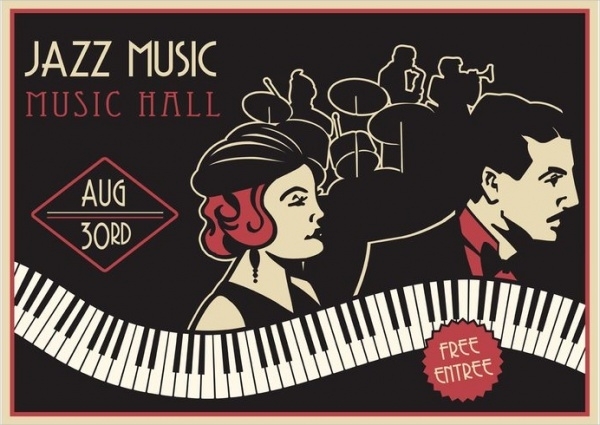 This is a nice poster, with limited text and the faces of the performing artists have been depicted here. You can edit and download the poster for free. 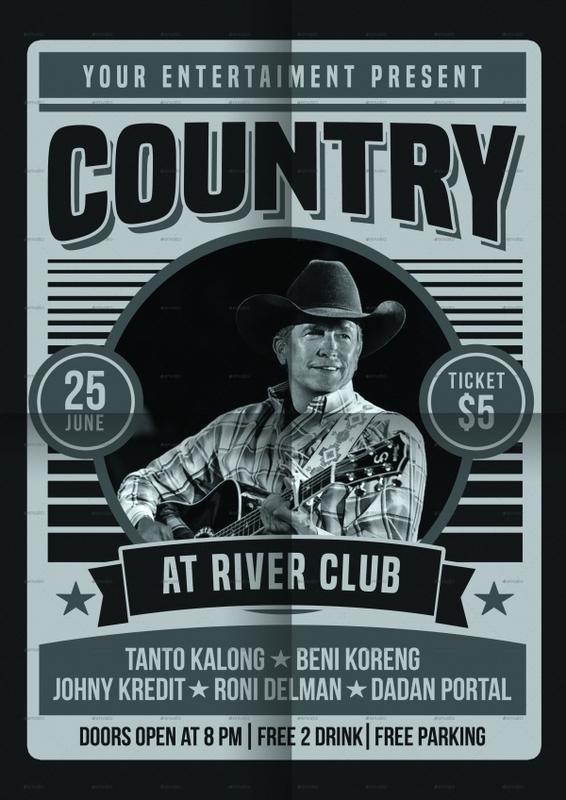 For country music posters, you can use this particular theme. The name of the performing artists is mentioned at the bottom of the image. The light colored background suits the purpose well. 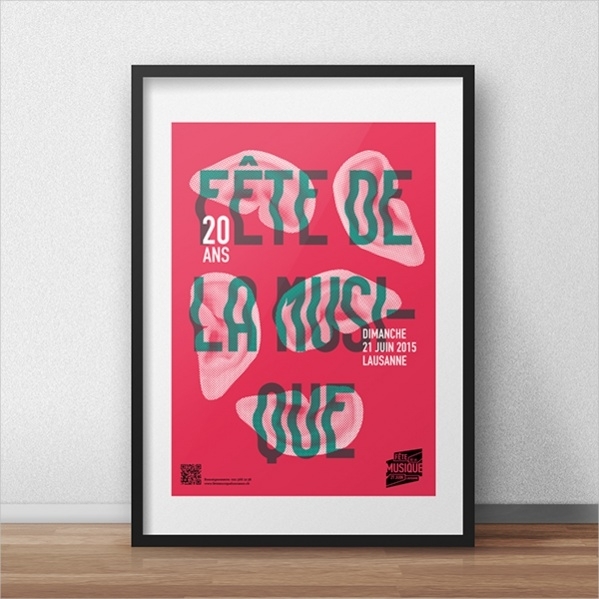 How to use these “Music Posters”? 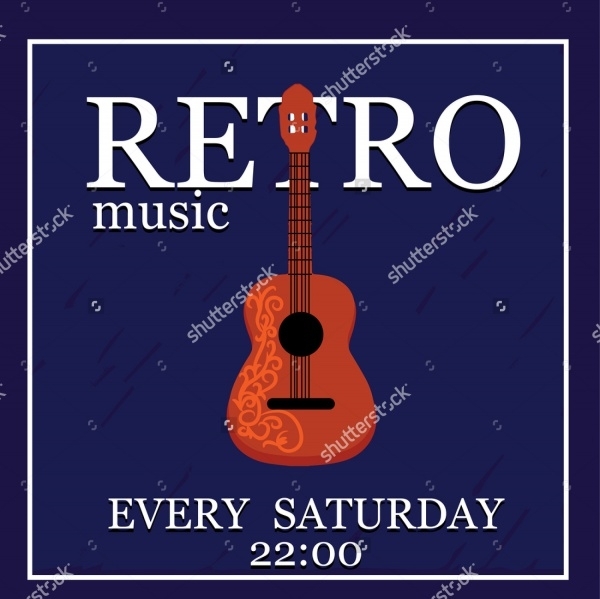 When you need a music Posters Design, simply browse through the pages and find out the templates that suit you the best. These templates are available in the downloadable version. So, you can download the required templates and you can also edit them before downloading. The text can be tailored, for instance, you can be specific about the name of the event, the date and venue of the concert and so on. Having downloaded the page, you can use it across various online and offline platforms. 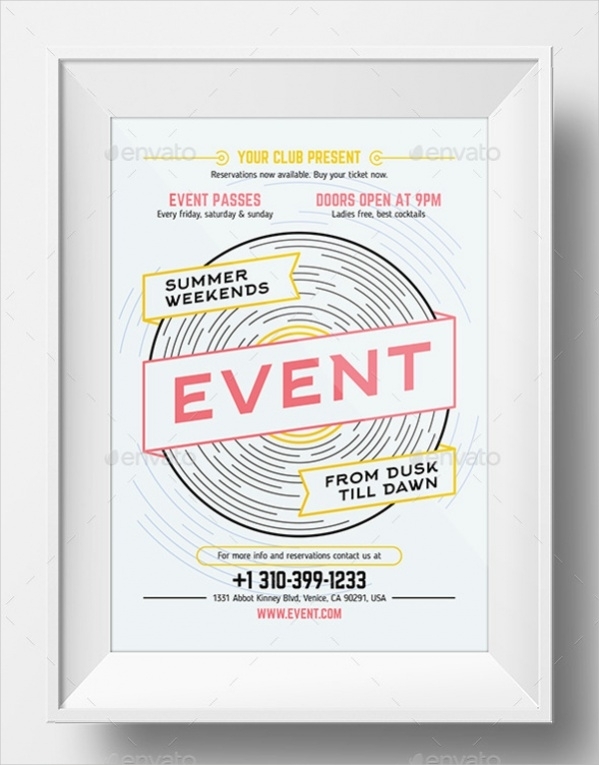 Music posters are greatly varied in looks and content, according to the entertainment tastes of their target audience. You can get any poster for free from the portal. You may also need music education posters music education posters and these are also available here. You can avail all that you need in a personalized way.